This holiday season, stock your workstation with three of our most popular Drobos—the Drobo 3rd Gen, Drobo 5D, and Drobo 5N. Each model is designed to meet the unique storage needs of your workflow with the same ease-of-use, seamless expandability, and dependable protection that you’ve come to expect from Drobo. The creative professional’s best friend, Drobo’s latest generation is built on the award-winning platform that started it all. 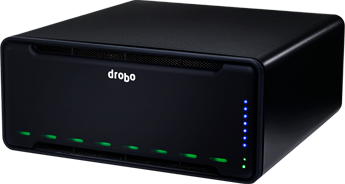 It holds true to the unique design and simplicity that has made Drobo the best desktop storage solution for photographers, videographers, and Mac users to store and protect all critical data. Specifically designed to meet the data storage needs of media professionals, Drobo 5D’s blazing fast upload and download speeds make editing, accessing, and backing up your large photo and video files a breeze. Media creators and demanding professionals will appreciate the incredible performance offered by cutting-edge Thunderbolt and USB 3.0 connectivity. Drobo 5N is an excellent way to centralize and share your rich media content while protecting against data loss from hard drive failure. Supporting popular apps like Plex enables video streaming on any device, making it easier than ever to share and access your entire video collection from everywhere including your phone, iPad, Mac, or TV. 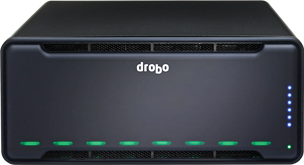 Want to share the gift of Drobo? 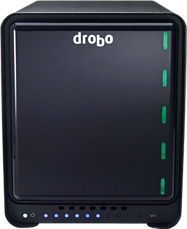 Save $90 off our most popular Drobo models and make somebody’s holiday bright. Use discount code HOLIDAYCHUCK at checkout, valid through December 29th.